Our delightful little cup is perfect as a baby's first cup or for use around a punch bowl. 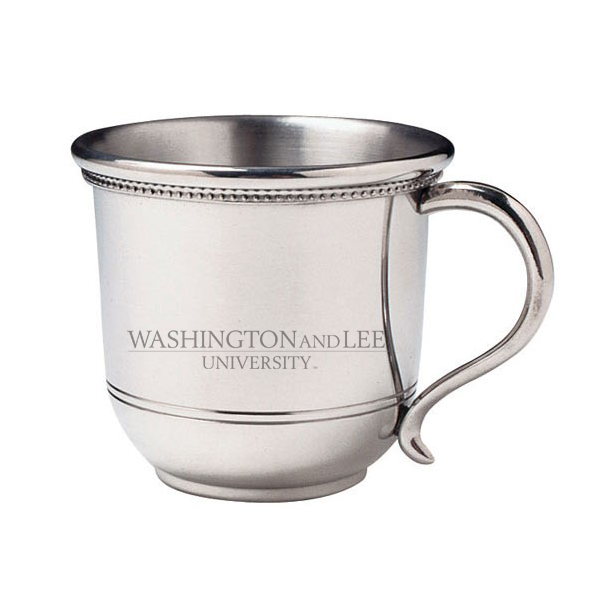 2 3/4" tall by 2 3/4" diameter with a graceful turned handle, it features a double rolled and beaded rim and an engraved double line under the engraved name of the University. Solid polished pewter and made entirely by hand, this cup may be personalized with a child's name and birth date. Please call the Store for details. Not dishwasher safe. Clean with warm water and mild soap. Gift boxed.